MENGO – Buganda Province will host the first leg of the two-legged final in the inaugural FUFA Drum tournament against West Nile. The development was confirmed on Wednesday morning through a draw held at the FUFA weekly press conference in Mengo. Buganda will host WestNile at Bishops SS Mukono on the 30th of September with the second leg on the 4th of October at the Greenlight Stadium. The teams were represented by their captains, the president of FUFA Moses Magogo and his first vice president Justus Mugisha were also in attendance. West Nile team captain Tabu Vitalis called fans to come and witness as they beat up on team Buganda because he believes they have already won. 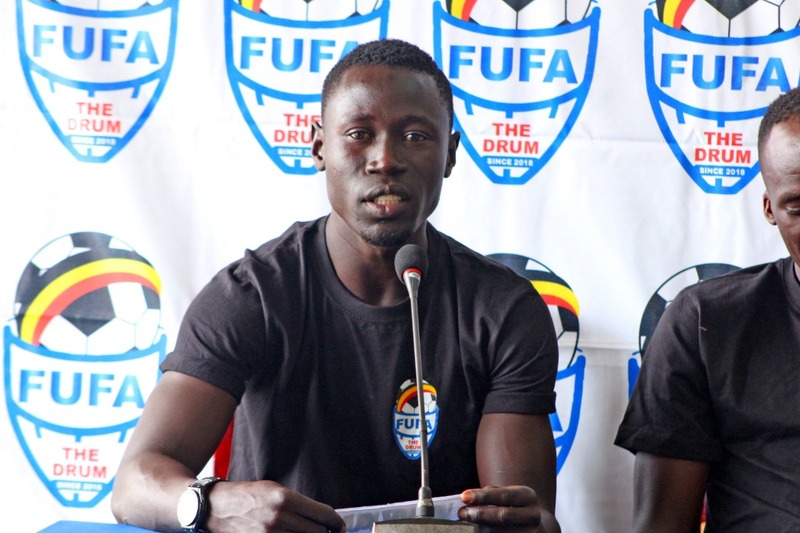 “We are going to beat Buganda because I have played with most of the players and am confident that West Nile is going to win the tournament.” Said Tabu. Rajab Jooga, assistant Captain-Buganda, said he is confident that there are going to beat West Nile home and away because they have been through enough training. The president of FUFA Eng Moses Magogo congratulated the provinces for reaching the first finals of the tournament and he called upon the fans to come and support their teams. “Am happy for both of the teams that reached the finals and may the best team win. Said Magogo. The tournament is held along the theme “Celebrating our ancestry” and was introduced in February this year.